Is it just me or have you noticed the sheer number of cooking shows on television recently? And what about the resurrected interest in outdoor grilling on the deck? Doesn’t it seem that BBQ’ing has become the latest, non-contact sport among guys? Well, as owners of the Archadeck in St. Louis, we have a rather unscientific, but seemingly valid, theory regarding ‘the grilling topic’. And it goes something like this. With today’s emphasis on good health and good food, folks are looking for ways to simplify life, spending time together with friends and family right in their own home or in their backyard. As a result, St. Louis homeowners have rediscovered the fun and frugality of an ole-fashion-backyard-BBQ paired with a few side-dishes, via potluck. Forget about the picnic table, though. 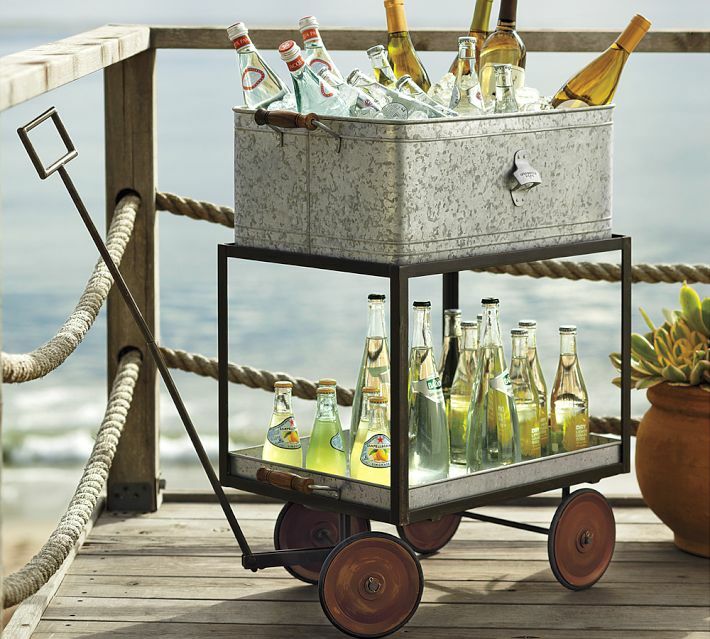 Nowadays, these backyard festivities are brimming with new trends and plenty of flair. 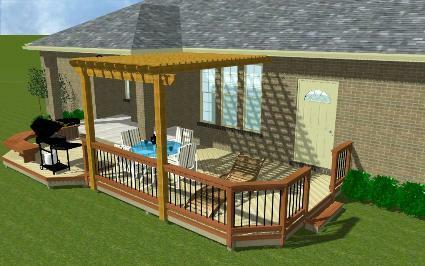 So what in the world does outdoor grilling and dining have to do with deck design and building by Archadeck? Well, we’ve found that cooking and dining outside is one of the most popular features that people want in an outdoor space; thus, ‘the grill deck’ was born and is a staple for any deck design. 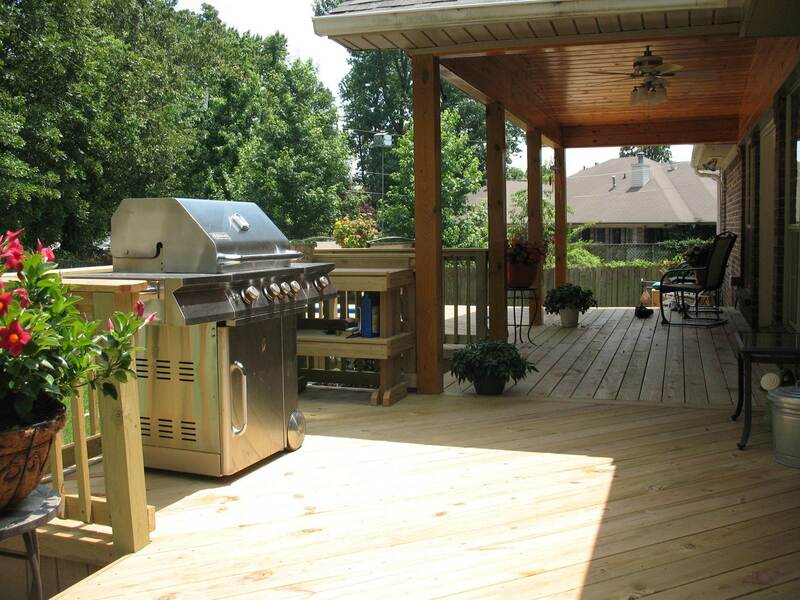 Technically speaking, a grill-deck is a smaller deck-area attached to a covered deck or adjacent to a screened porch. As the name implies, it’s designed to hold the grill and grilling apparatus. Large-scale outdoor kitchens are high-end units with built-in components like grills burners, sinks, refrigerators, counter space, storage drawers and cabinets. They are a luxury feature, conducive for entertaining in ‘grand style’ and are a backyard focal point, for sure. 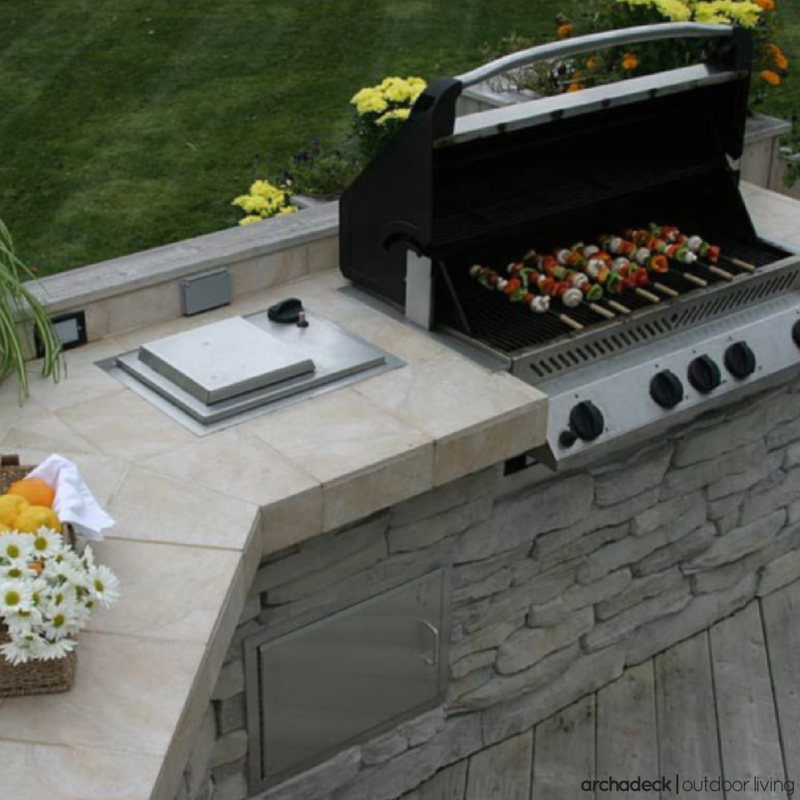 At Archadeck, if you truly want an outdoor kitchen we will happily accommodate your design needs and coordinate construction to ‘make that happen’ for you. But there are disadvantages to outdoor kitchens too, including expense, limited usage, ‘stylistic depreciation’ and maintenance. High-end expense with limited use: Customers are very curious about outdoor kitchens because they can be absolutely beautiful, shown in glossy magazines and in showroom displays. 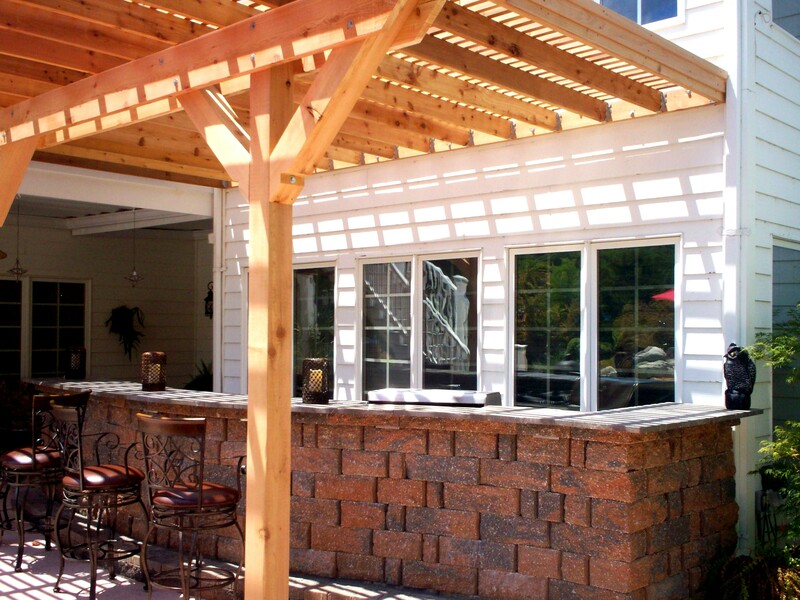 However, many homeowners prefer to avoid the complexity and expense of outdoor kitchen construction, unsure of just how much it will actually be used. Prices for an outdoor kitchen, alone, average $15,000 and usually exceed $20,000+ for deluxe set-ups. Since its use is both seasonal and reliant on fair weather conditions, a simpler less expensive way to cook-out can seem more appealing to many folks. Stylistic depreciation: Most high-end outdoor kitchens are installed as permanent structures which may (or may not) lose their appeal after a few years. On the other hand, grills of all types including smokers, gas and charcoal grills, are readily available at big box and specialty stores: they’re cost-effective and portable. If you simply want to grill outdoors, an outdoor kitchen probably doesn’t make sense. A grill with some counter space may work just fine. Just remember the old saying… ‘the neighborhood matters’ when it comes to home improvements. Resist the urge to over-renovate. In some cases, it’s ill-advised to totally duplicate what you already have indoors, outside. Maintenance: Outdoor kitchens require care including routine maintenance, cleaning, winterizing and covering when not in use. So, to prevent a duplication of appliances, many people prefer a way to entertain that does some of the cooking outdoors but utilizes their indoor kitchen as well. Other construction considerations include ventilation issues, utility access (water and electric) and using weatherproof, durable, low maintenance materials. With all of that said however, outdoor kitchens can certainly be a perfect fit for the right family and in the right setting. 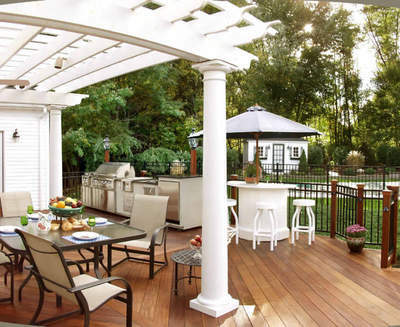 But for the reasons outlined above, many homeowners, particularly in a weather-region like St. Louis, decide against an extensive outdoor kitchen configuration and opt for a custom deck designed with grilling and dining features instead. More than likely, an attractive grill-deck design will suit your lifestyle and budget while satisfying the chef in your home too! If you’d like more ideas from Archadeck and you’re interested in adding a deck or other outdoor structure to your home, please give us a try! 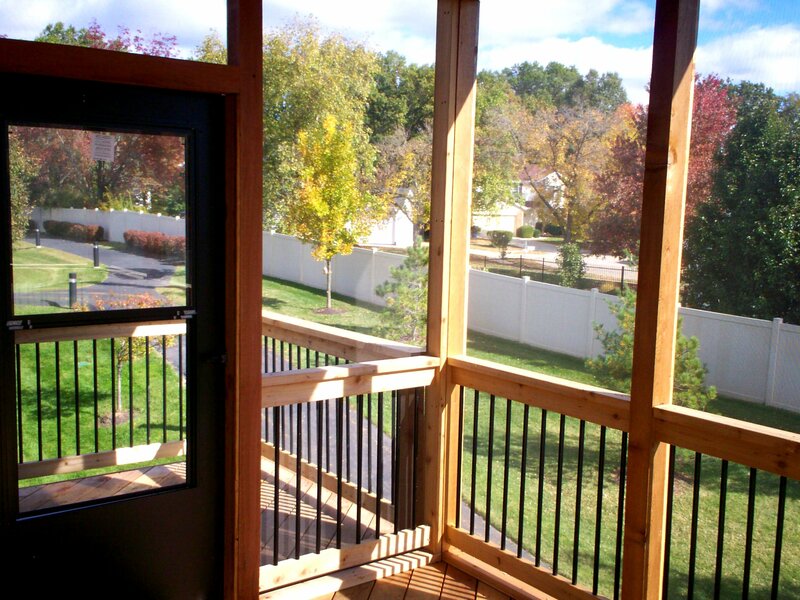 Here in St. Louis call 636.227.0800 or visit our website west-county.archadeck.com. 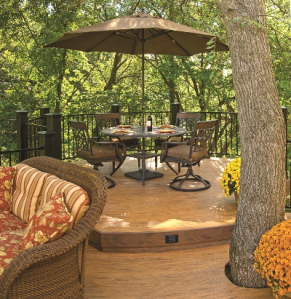 Archadeck of West County and St. Charles County is a leading St. Louis contractor for decks, screened porches, pergolas, gazebos and other outdoor living spaces. We serve the Greater St. Louis region including parts of Illinois. If you live elsewhere in the US, visit archadeck.com for other locations. Grill Deck vs Outdoor Kitchen, Which Is Right For You?